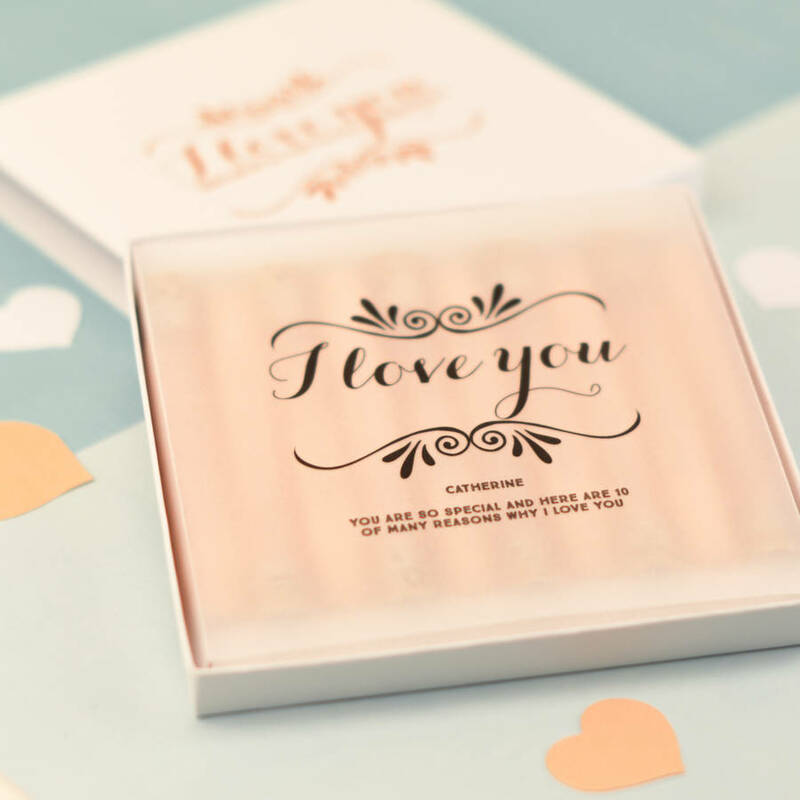 Make your Mum's day and tell her how much you love her this Mother's Day. 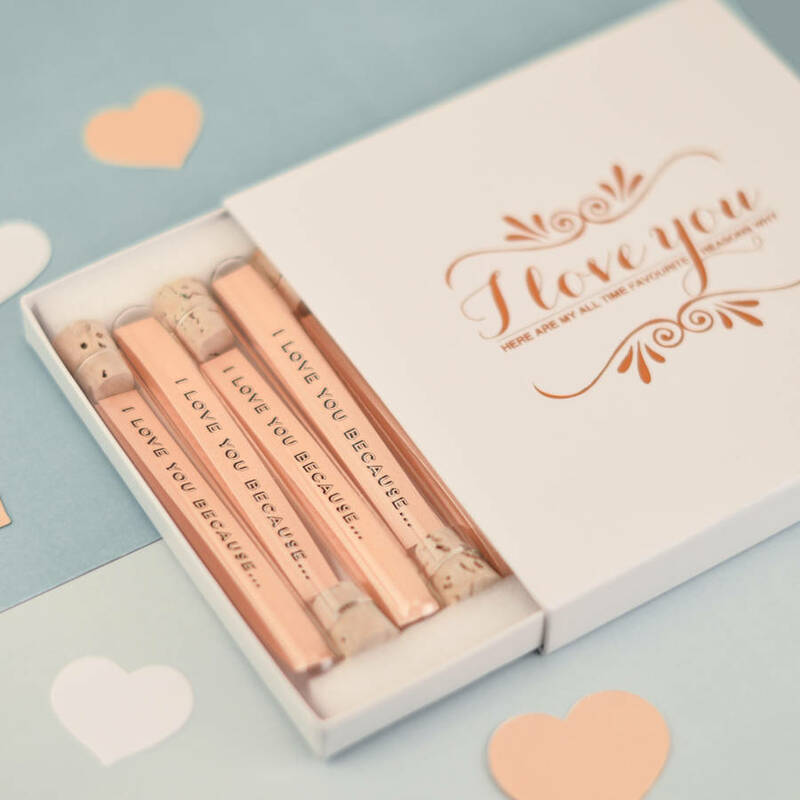 This set is a perfect way to express how you truly feel about them and something they can keep and treasure forever, making it that extra special gift. 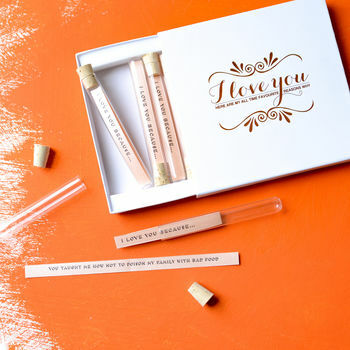 This set allows you ten opportunities to let someone know that they are loved and why. 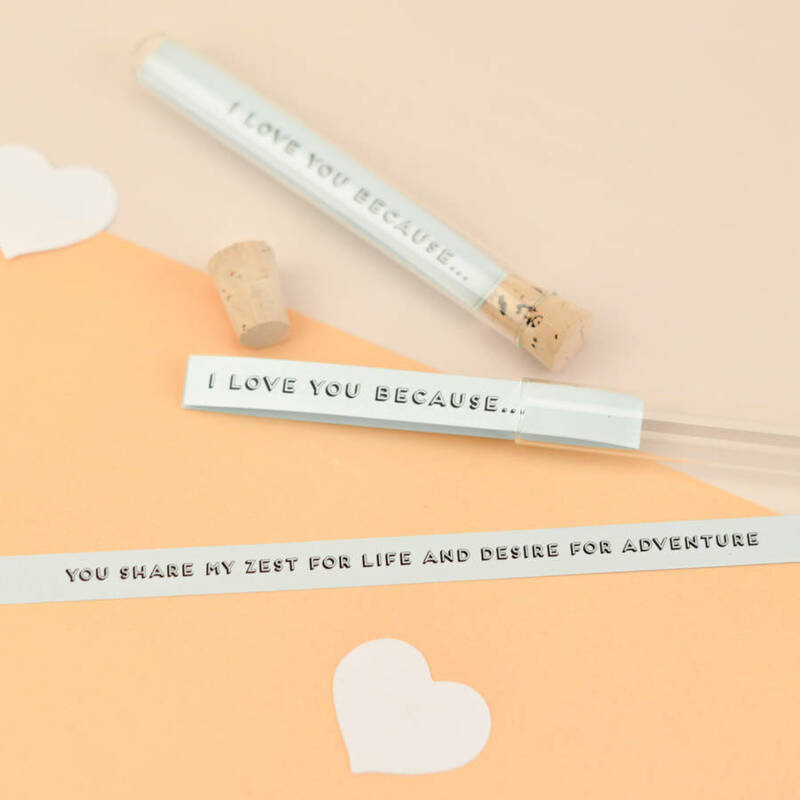 Whether you need to tell your bestie, who's been there through thick and thin with you, how much you treasure their friendship, let your kids know how proud you are of them or to let your significant other know how much they mean to you. You taught me to look out for family and friends. You dont hate me even after my teenage years, sorry again. You showed me how not to sweat the small stuff. You taught me how not to poison my family with bad food. You encouraged me to believe in myself. If I need you, I know you’ll be there. 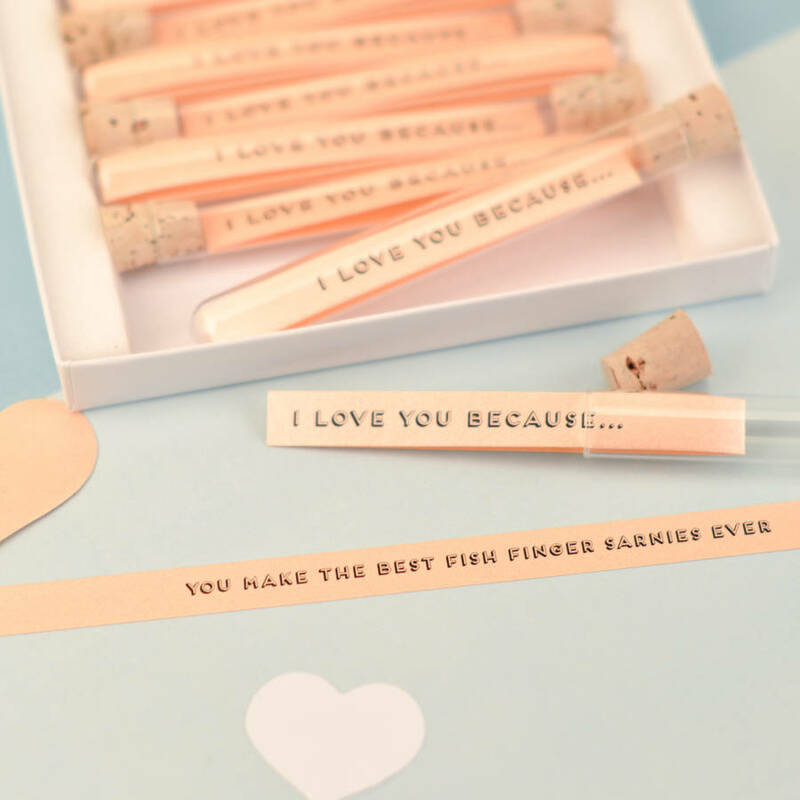 You always put me first. You are caring, considerate and understanding. You always see the good in people. You support me in everything I do. Because I know we will be best friends forever. You are my rock, and my inspiration. No matter how hard life gets, you give it your all. I love your cuddles and how they make me feel safe. 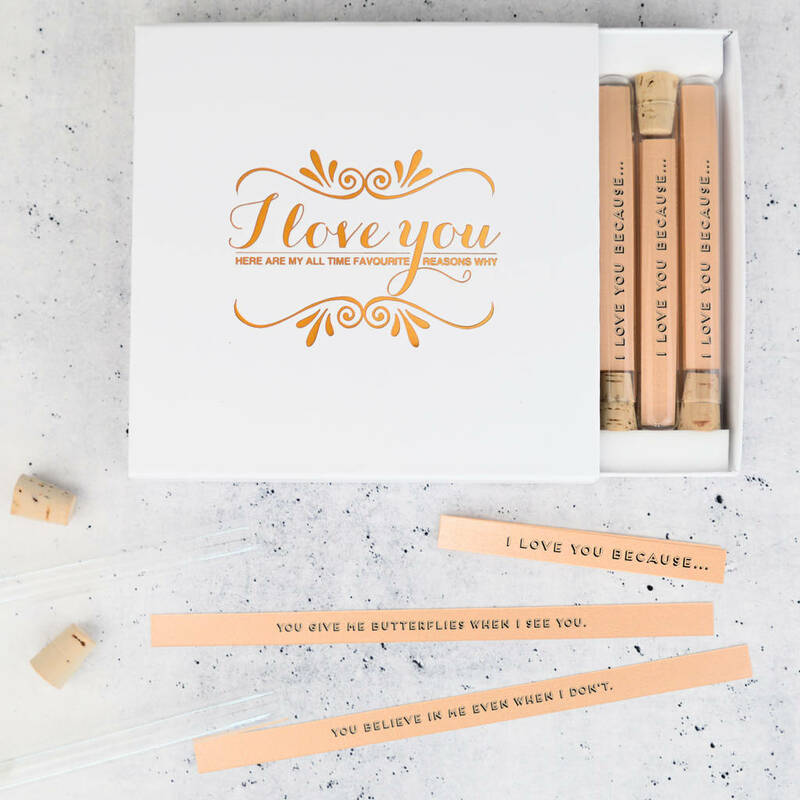 The outside message on each reason (the one you can see when you first open the box and remove the vellum cover sheet) is not personalised and will read I Love you because. 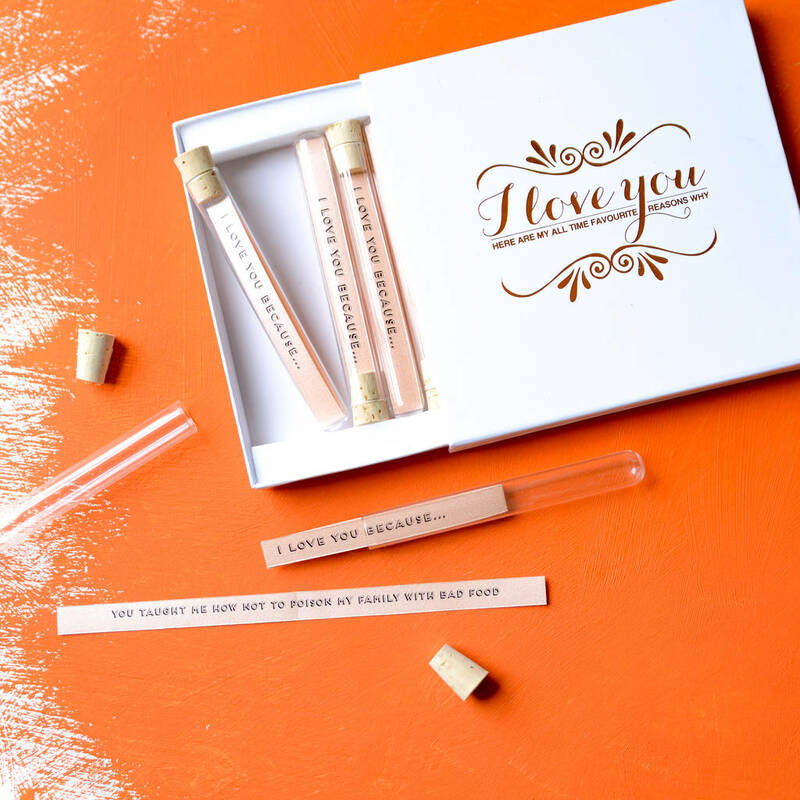 You will see your personalised message when you pull the message from the tube and unfold it. Your character limit does not include the outside message, so you are free to type up to 60 wonderful characters. 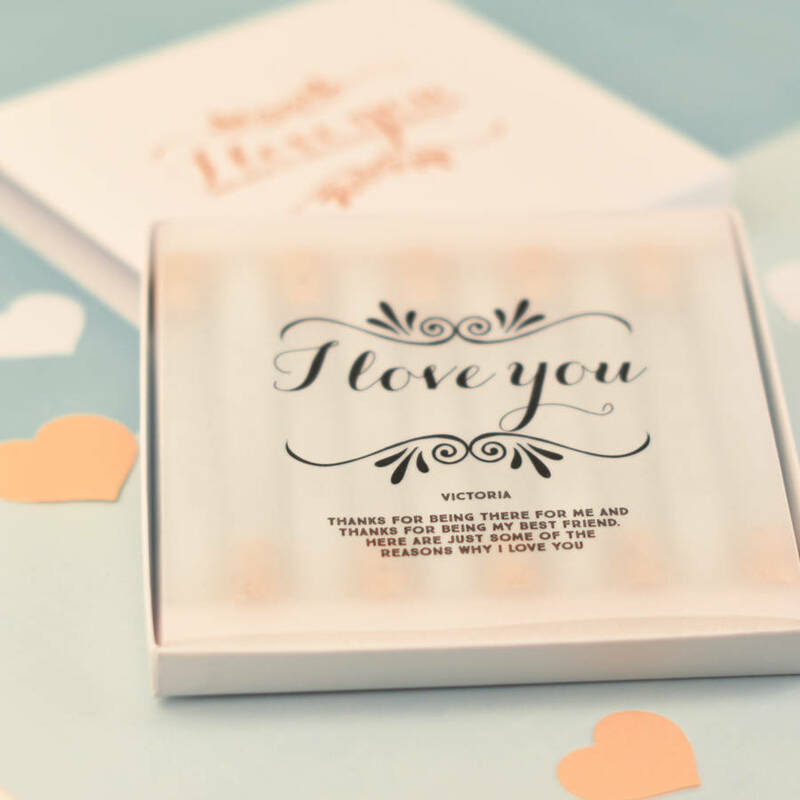 You also have the option to choose between baby blue and soft apricot paper for the reasons to be printed on.